[New student room-mates are getting to know each other. ]On one of the beds, there basked a fur, a long-haired fox fur, its colours banded and streaked, strawberry blonde with platinum tips. My eyes were drawn ineluctably towards it, as fingers are drawn to marble or velvet. I stared at it; as I did so, one of its arms slid towards me, as if in languid salute. I watched. The arm flopped itself over and lolled on to the floor. I took a step towards it, genuflected, and lifted it reverently. I tucked it on to the bed, into the body of the coat, feeling as I did so not just the whisper of the fur against my hand but the sleekness of the silk that lined it. ‘I would kill for this coat,’ I said simply. I was staring at myself in the mirror. The fur felt alive around me; there was as faint disturbing vibration beneath my skin, as if I had acquired another pulse. 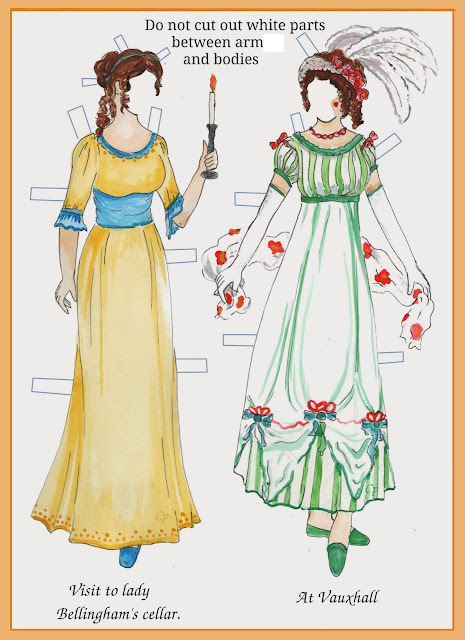 Jane Eyre and her wedding clothes (this blog entry) are also referenced. The other strand of the story looks back at the narrator’s dour Northern upbringing, and reads as though British comedienne Victoria Wood had written it (in pencil in a lined exercise book probably): “a good slap and straight off to bed.” The book is full of details of its era – you’d have to have been there to know what a tapestry maxi-coat is, and to remember political meetings that smelled of Afghan coats and flying jackets. Future Prime Minister Margaret Thatcher makes a surprising, uncredited cameo appearance. The expression ‘wide-ranging’ could have been invented for Hilary Mantel, whose novels wander over times places and styles, culminating in her novel about Thomas Cromwell, Wolf Hall (in my important view, the very best novel of recent years). Unlike Julie Orringer - yesterday’s entry - Mantel wrote a historical novel that resembled no other, made its own rules, and reminded you of nothing but the fact that Mantel is a genius. Bring on the sequel. The fox fur coat is going to be very very important in this sour, sad but very funny story. The narrator asks “What did people do for a metaphor, before the pressure-cooker was invented?" The photo is from the George Eastman House collection, and is on Flickr. fox fur coat is very stylish and looks very decent when you wear. I Like the colors which are possible to getting in the Market. It will be sure suited to old age's ladies.